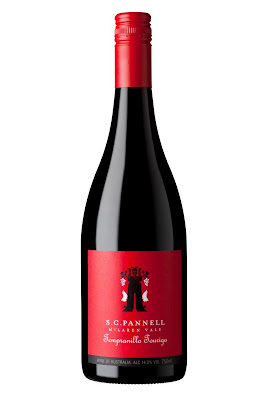 S.C. Pannell has quickly become one of my favorite wine makers, as of late. He seems to have the right balance between exploring different varietals and wine making styles, and knowing what works well here in Australia. I was pleased to see this wine recently win the Jimmy Watson trophy, however had it been up to me I would have probably picked his even more amazing Grenache. This was for me an excellent example of what can be done with Shiraz in the cooler wine growing regions of Australia, such as the Adelaide Hills. Refined with nice tight structure and some mineral elements. Still has many of the things I've come to expect from good Australian shiraz. Already drinking beautifully, but sure to reward a bit of patience over the next few years. This is a pretty top notch GSM and provides excellent value. This one was made by Malcolm and Richard Leask in McClaren Vale. 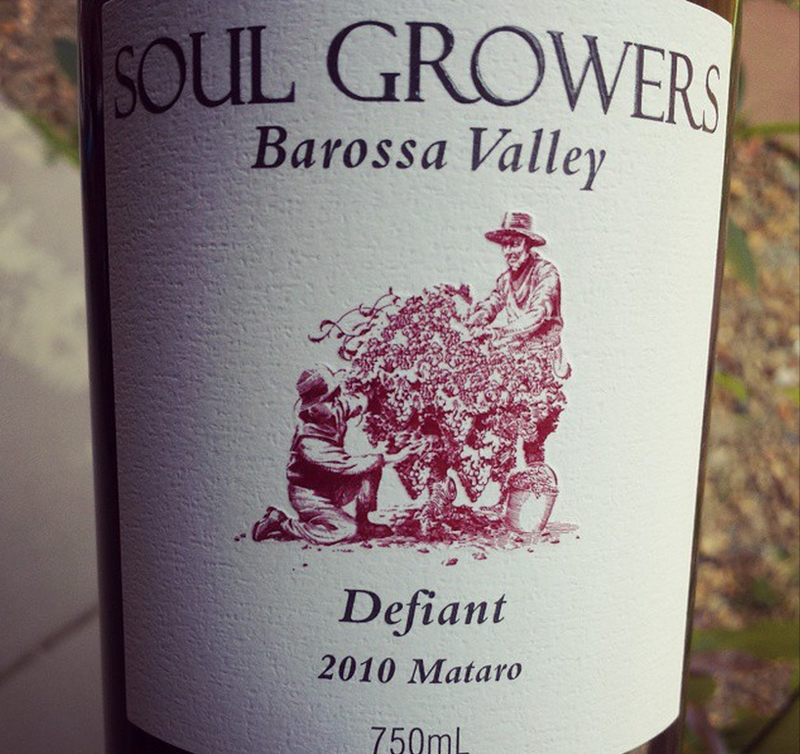 Another tasty, great value wine from the VinoMofo boys. Smells to me of strawberry and raspberry. Soft ttannins and oh so juicy. This is a super easy drinking wine. It went over well with my friends and I could easily see myself drinking more of this (likely buy it in another collaboration case, as I've liked all of the wines so far). Probably best to drink it in the next couple of years, as it wasn't drinking as well on the second day. If you are looking for a Shiraz to cellar for a few years, this is probably not what you're after. However, if you are looking for a great juicy Shiraz to drink right away, you're in luck. 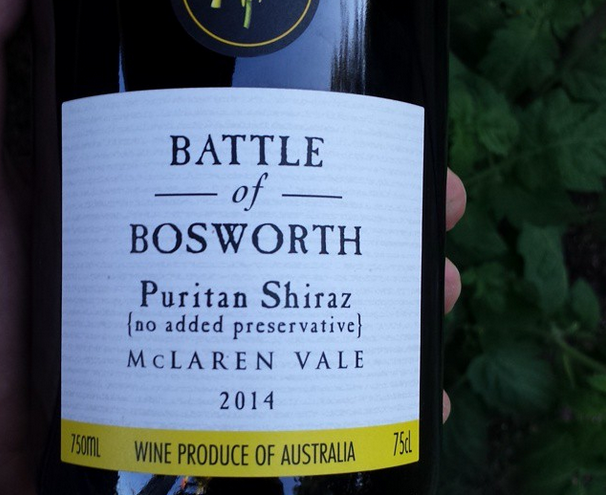 This Shiraz has been produced without the addition of the usual preservative sulfur dioxide, hence the name puritan and has been made in a style for drinking in its youth. Pours a very dark purple and smells of fresh berry fruit with some nice floral overtones. A very easy drinking wine, resulting from soft tannins, mild acidity and a big round palette. I definitely recommend giving this one a try, as it's unlike any other Shiraz I have tried so far. Excellent wine to take to a BBQ. Hitther & Yon are yet another McLaren Vale producer utilizing less common grape varietals to produce great quality wines that are also unique and interesting. White Frontignac is an alternative name for a grape variety known to the french as Muscat Blanc à Petits Grains, which translates roughly to "white Muscat with small berries". This is an absolutely perfect wine for hot summer days, as it's easy drinking, floral, and crisp. Pale in color with nice subtle tropical fruit on the nose, featuring lychee and pineapple. More tropical fruits on the palate are balanced by a crisp lemon acidity with a nice dry finish. Was decent with sweet soy pork belly, however the sauce slightly over powered this wine. I would pair it with something more delicate next time, such as a pad thai or crab cakes, although this wine is plenty good on it's own and would do just fine while sitting by the pool. Yelland and Papps are not your average Barossan wine producers. Unlike many wine makers in the region, Susan Yelland and Michael Papps are a young family of first generation wine makers. They source many of their grapes from vineyards around the region and have a small vineyard of their own. Most importantly they are making really great and unique wines. Sete di Vino translates from Italian into "thirst for wine", a sentiment I can relate to. This blend of Barbera, Lagrein, and Dolcetto is a perfect everyday drinking wine, that is great with food. Some savory elements on the nose meld well with flowery aromas and good fresh dark berry flavors. A bit of sour cherry, soft tannins, and a nice oak finish. This wine is drinking great right from the start, so no need to cellar. Paired fantastic with pizza and cured meats, and would likely do well alongside plenty of other dishes. I'll be buying this again. This is one great big serious wine. I decanted this wine over two hours and felt like it was just really hitting it's stride. On the suggestion of a friend I didn't bother trying to pair this wine with any food, and just drank it on it's own with a little help from my neighbors. The first thing that hit me was the level of alcohol, a bit hot at first, but was balanced well by strong oak influence and intense flavors of the Mataro grapes. Great depth of flavor with abundant dark fruit and grippy but not overwhelming tannins. Certainly not an everyday drinking wine, but worth getting for a special occasion. A great big wine best suited for the cooler months. 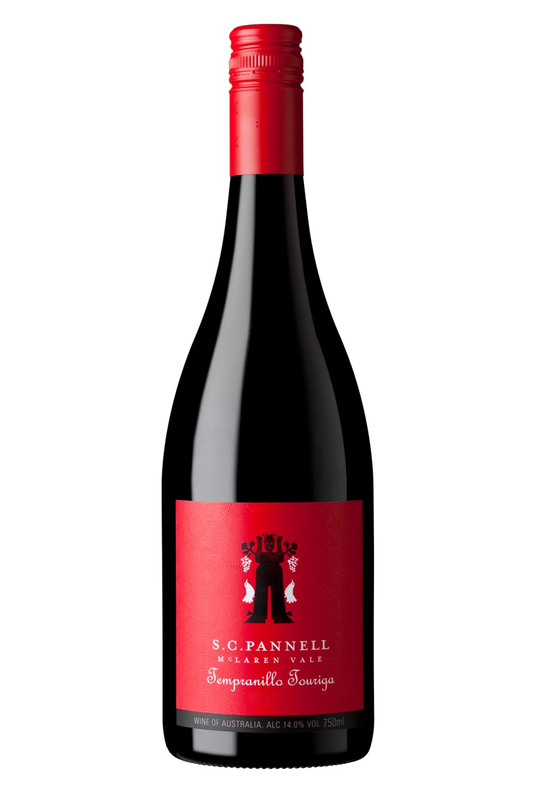 S.C., Pannell was recently awarded the Jimmy Watson trophy for his 2013 Syrah (reviewed here), however it's really his work with Grenache, Tempranillo, and Touriga Nacional that have me excited. This is another beautiful wine from a great wine maker. An easy drinking wine perfect to share with friends. Excellent with cured meats and soft cheeses. Nice aromatics displaying characters of blackberry, jasmine, and some nutmeg spice. A medium bodied wine, juicy with mild but grippy tannins. An easy drinking and food friendly wine. I love to try new varietals, unique blends, and wines that have been produced using interesting technques. 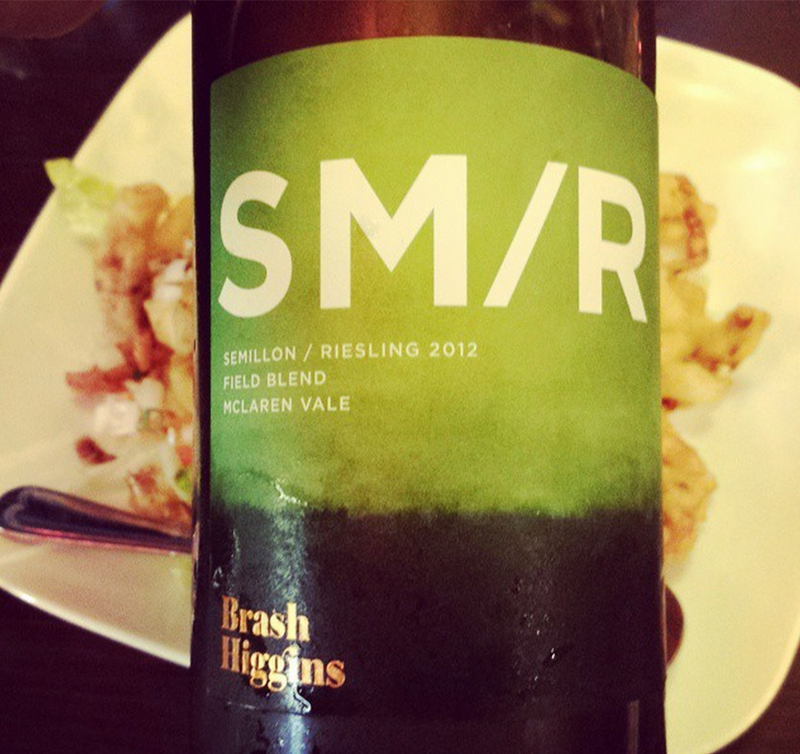 Brash Higgins wines seem to be doing a lot of this with very cool results. I'm suprised I haven't seen more of this particular blend. 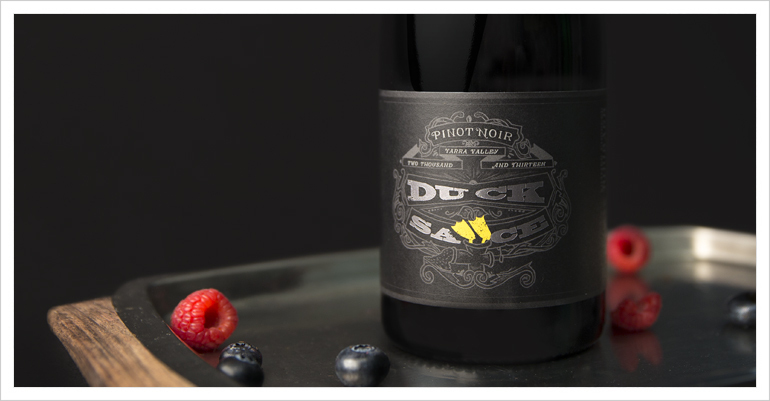 Winemaker Brad Hickey has taken two of my favorite Australian varietals and created a new and interesting blend that works fantastic with Thai and Indonesian foods. For such a young wine I was surprised to get some aromatics characteristic of a more aged Riesling. This was a pleasant surprise, and it was definitely nicely balanced with the Semillon and citrus fruit characteristics of this wine. The palatte had mid level acidity and good length, a nice roundness, a bit of lime, and a lot of interest. Was a real crowd pleaser, alongside some good Thai food, and paired particularly well with salt and pepper soft shell crab. I'd buy it again and look forward to the release of the 2014 vintage of this wine. Spring has been hitting us here in Brisbane and I'm starting to crave fresh, zippy, refreshing Rieslings. This one fit the bill pretty darn well. Another collaboration from Vinomofo, it was produced in collaboration with Penna Lane, in the Clare Valley. 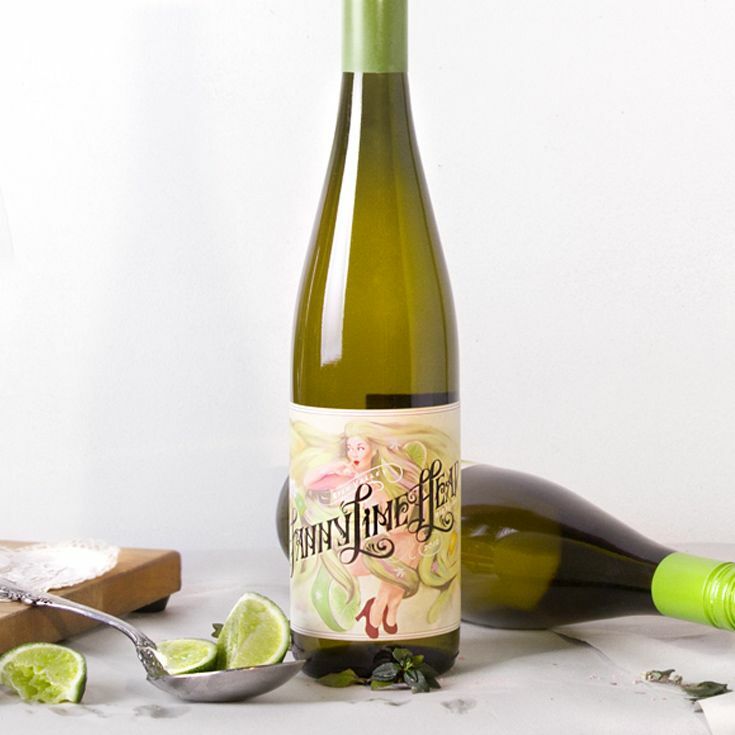 This hits all the notes I like in a fresh young Riesling; good aromatic intensity with lots of lemon, lime, and a bit of green apple, followed by nice bright and crisp citrus acidity. Overall, a refreshing good quality riesling, delivered at a very fair price. Best served in a hammock, after a hard days work, by the pool, or anytime you realize it's summer. Sourced from Palacios Remondos vineyards, some of the highest in the Rioja region, this blend of Grenache and Tempranillo is wonderfully drinkable and very food friendly. This wine has spent less than six months on oak, and is therefore termed a jovenes by the Spanish. A delicate savory nose with notes of rasperry jam, cherry and lavender, along silky soft tannins and low acidity, make this a very nice drink now wine. I served this with manchego, chorizo and boar salami and it was a treat. An all round enjoyable Rioja, drinking well now, and best served with food. Retailers Vinomofo have collaborated with winemaker Steve Webber from DeBortoli, in the Yarra Valley, to produce an excellent value pinot worthy of a careful considerate tasting, but cheap and easy drinking enough to slurp back with your mates, while watching the footy. I found this to be quite light, although it did start to open up and deliver some more fruit after a little while in the decanter. An overall delicate nose featuring aromas of strawberry and raspberry, alongside some forest floor and herbaceous notes. Somewhat thin, but precise palate with soft red berry flavors and silky tannins, balanced by excellent acidity. I'll be buying some more of this, as I've not come across many pinots of this quality for under $20. It's only available directly from Vinomofo in six packs, however it can be purchased as part of a mixed six pack, alongside some of their other collaboration wines. A very good go to pinot to keep around the house for every day drinking.